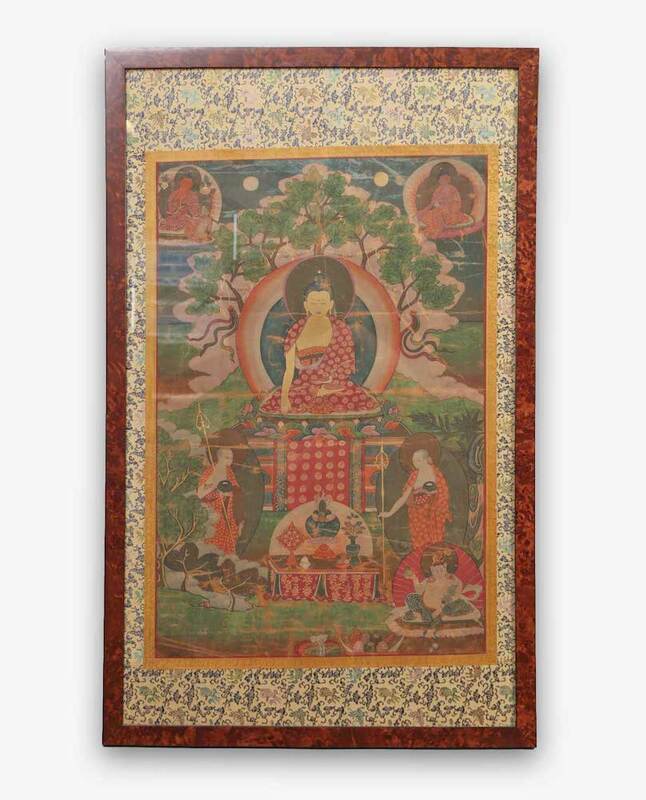 Typically painted on cotton, silk, or even human skin, the Tibetan thangka is a Buddhistic relic traditionally used for personal meditation or as a tool for teaching about the lives of Buddha and other divine figures. 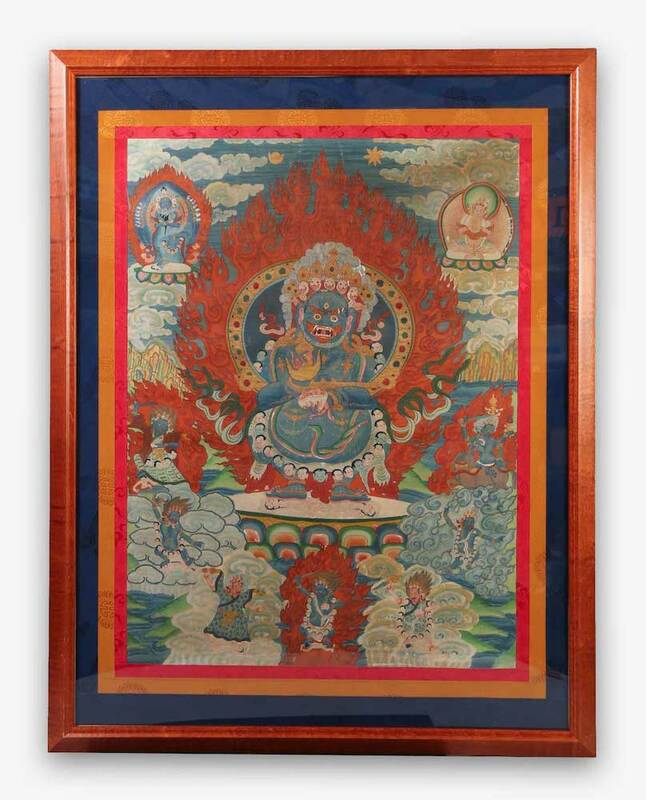 The thangka most frequently depicts a figure surrounded by several small illustrations of symbolic imagery. The central image is likely to be in the likeness of a deity, arhat, or important monk, and the surrounding imagery is frequently of the central figure at various pursuits or of alternative incarnations of the individual. Less commonly, the thangka can depict a narrative scene, but never the less, the painting is universally allusive, symbolic, and religious. These depictions are artfully crafted and usually vibrant and colorful. 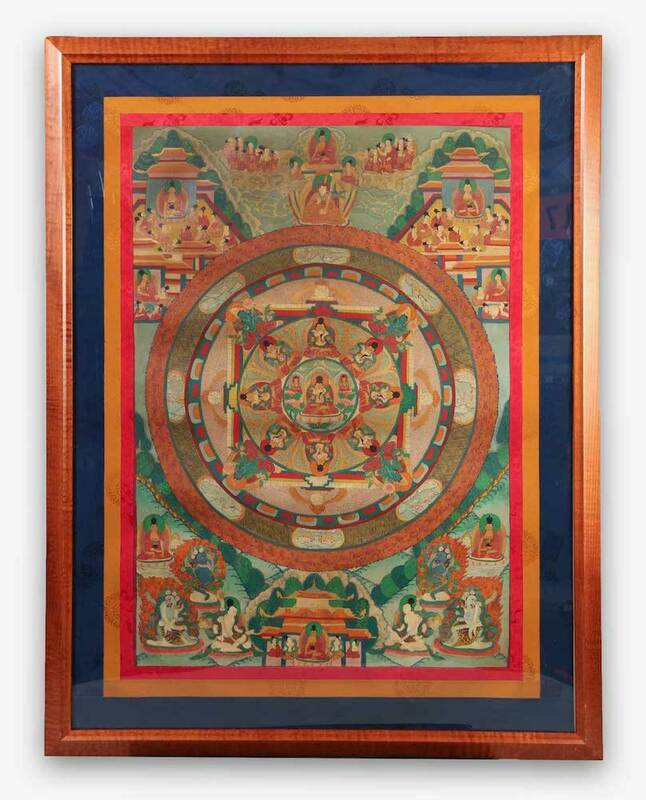 They are mounted on fabric and kept rolled like a scroll, the word thangka even means “thing that one unrolls.” Whether you acquire a thangka for its religious iconography, as Asian art, or simply as a colorful addition to your bohemian-style living space, these paintings are a beautiful addition to any collection.